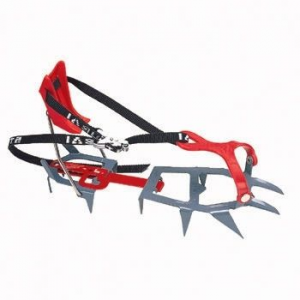 Visit Kahtoola's K-10 Hiking Crampon page. 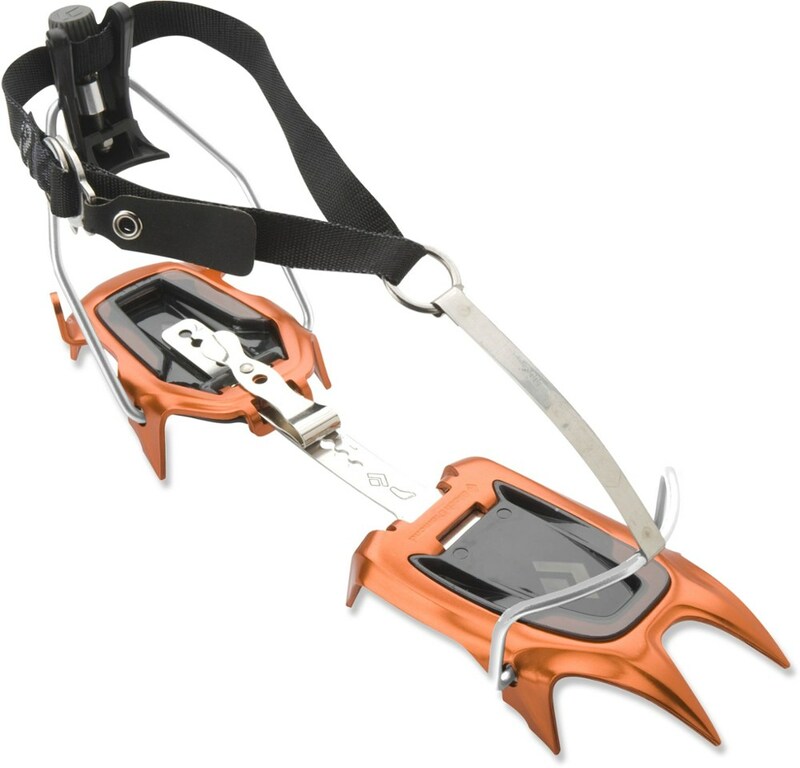 Kahtoola Footwear K10 Hiking Crampons KT0418FG01. 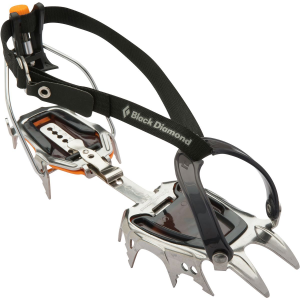 You'll glide through the terrain on the lightest steel crampon on the market. They're ultralight flexible and easy to put on and walk in. Well-traveled winter trails have a tendency to transform into sheets of ice. 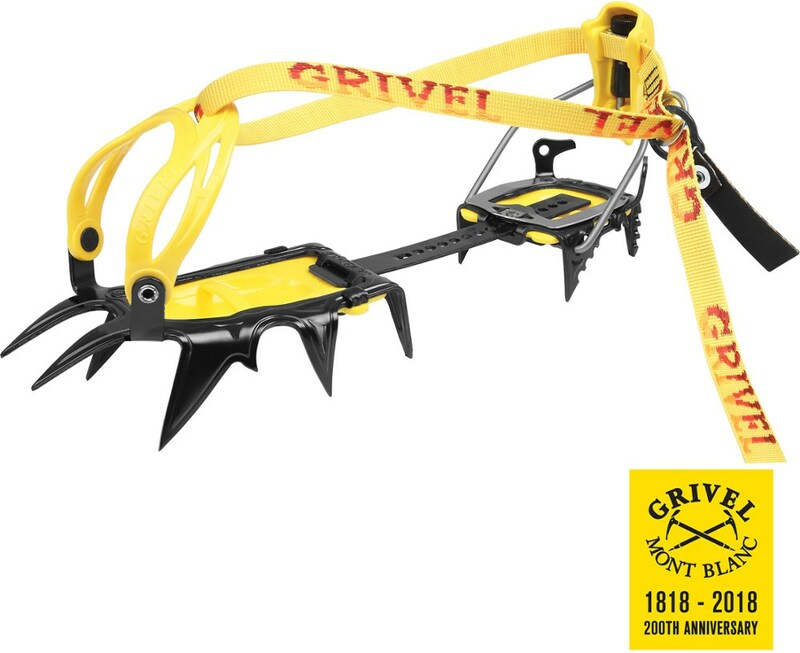 Strap the Kahtoola K10 Crampon to your hiking or running shoes and travel over treacherous, icy terrain like it's just a walk in the park. 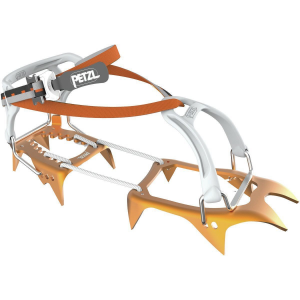 The Quick-fit Binding system securely anchors the crampon to your foot, and the patented LeafSpring Extender Bar flexes to accommodate a natural walking motion. 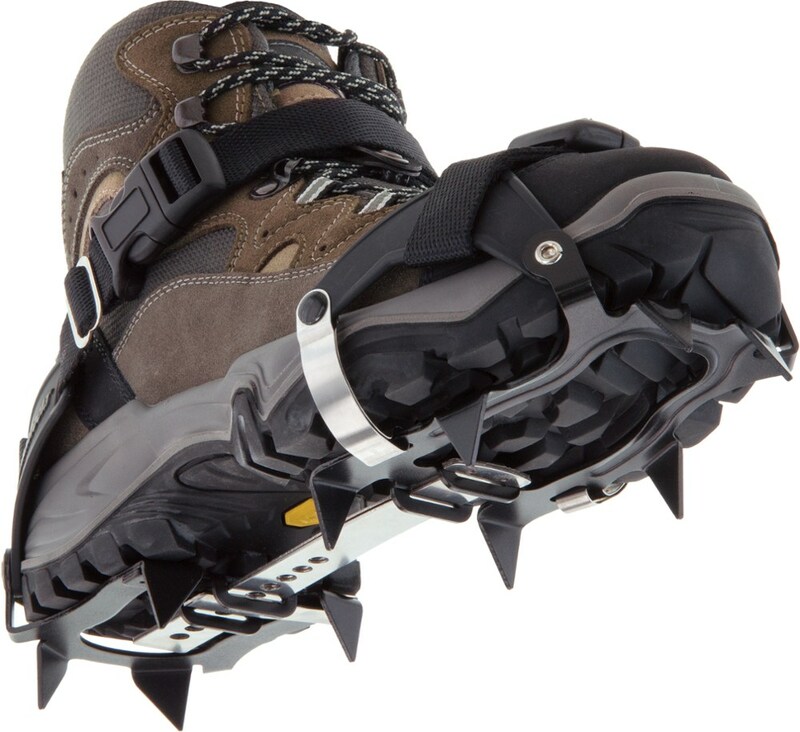 For the athlete who doesn't let a little snow and ice get in their way, Kahtoola's K10 Hiking Crampon gives you stability on sketchy surfaces. 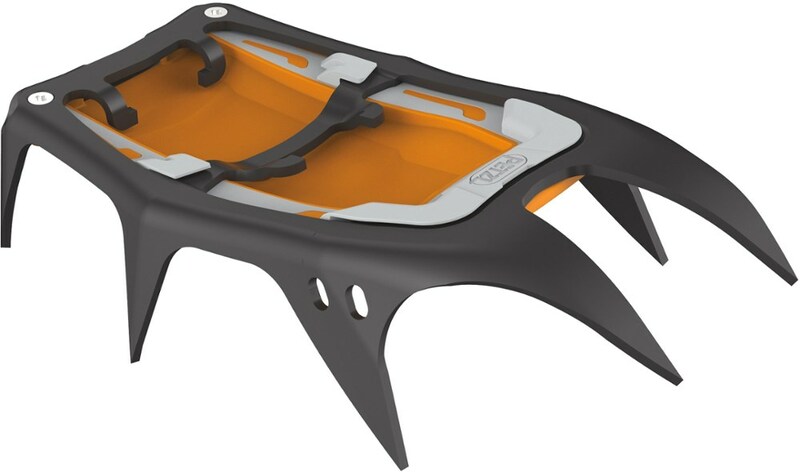 A Snow Release Skin acts like an anti-balling plate to prevent a dangerous build up of ice and snow.